Linda joined The Whiteley Clinic when it first opened in April 2014 where her first role was Senior Front of House, progressing to Practice Manager in 2015. Most of her working career has been within the aviation industry where she worked at London City Airport for 25 years. She had various roles including Terminal Supervisor, Airfield Operations Controller and Private Aviation Duty Manager. Her career within a business Airport gave her the ability to understand the customer needs and know how important it is to give outstanding service. Linda left the aviation industry to pursue a career in healthcare. 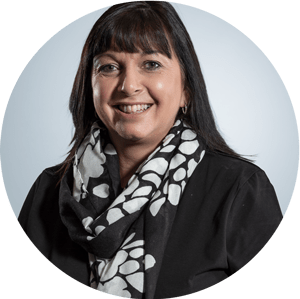 She passionately believes in The Whiteley Clinic mission to provide the highest quality of care to patients and making sure that the customer journey is as enjoyable as it possibly can be. She enjoys supporting and complementing the great team that treat patients in London and is a strong believer that the team is a vital part of the customer experience. Linda enjoys the diversity and challenges that arise almost daily, knowing that she has done a good job and ensuring that everything is running smoothly day to day in the clinic. Away from work, Linda is the proud mum of three grown up children and manages to juggle a busy home life with a career.